I am trying to connect my application to the Dailymotion API. 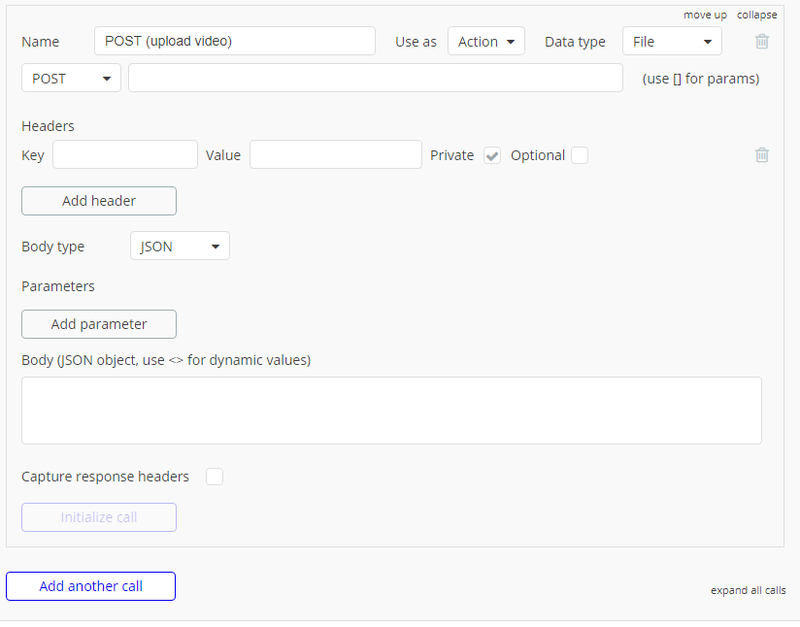 I am trying to allow users to upload their videos from my site and onto the Dailymotion servers through their API. 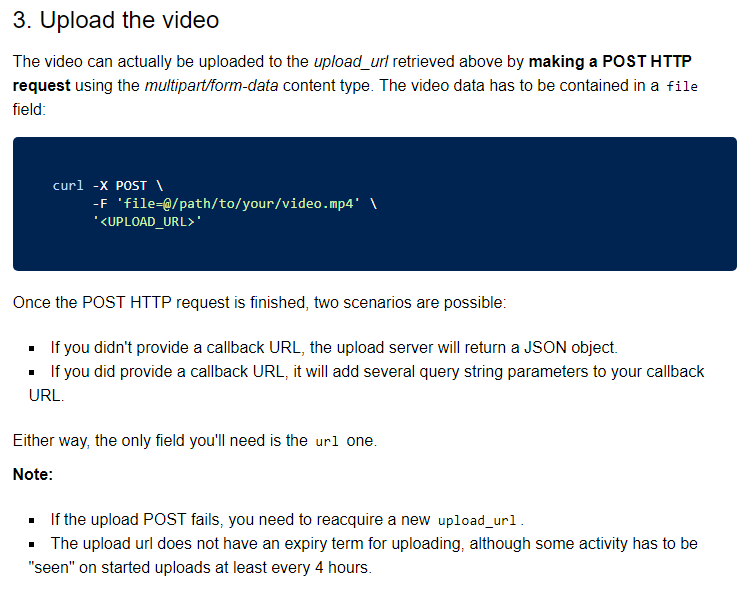 Currently, I have authenticated the users and received an “upload URL” from a GET request, and now trying to send the video in a POST request.